It was Philip Kerr who drove me into the literary embrace of his fellow author, J. Robert Janes. I’d begun reading Kerr’s wonderful series about World War II-era Berlin detective Bernie Gunther not long after he introduced the character in March Violets (1989), and had been appreciating where that series was headed. But then, suddenly ... well, the Scottish wordsmith stopped producing new Gunther tales, following the publication of A German Requiem (1991). 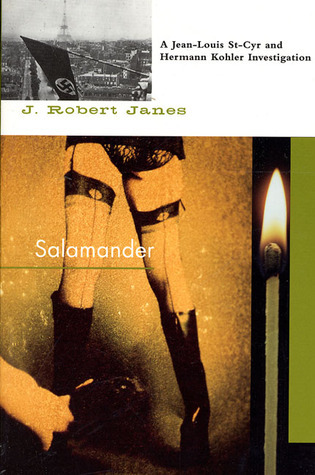 Hungry for more crime fiction of a similarly sinister, complex sort, I soon stumbled across Janes’ Salamander (1994), the story of a disastrously successful arsonist at large in Lyon, France, in late 1942. This turned out to be the fourth of Janes’ historical thrillers to feature a most improbable pair of middle-aged investigators operating throughout German-occupied France during the early 1940s: a widowed, pipe-smoking chief inspector of the French Sûreté, Jean-Louis St-Cyr, and his Bavarian partner, Detektiv Inspektor Hermann Kohler of the Nazi Gestapo (described early on as “a giant of a man with the heart and mind of a small-time hustler”). Amazingly, those onetime enemies had not only been getting along since their first adventure in Mayhem (aka Mirage), published in 1992, but had become a rather crack team of crime solvers--often to the disgruntlement of their Gestapo superiors in Paris, who see them as far too independent. 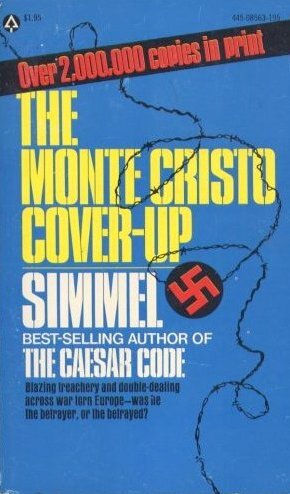 While war storms across the face of Europe, it’s up to St-Cyr and Kohler to solve the more everyday but nonetheless disturbing crimes--the assaults, the thefts, the occasional cross-bow killings. Misdeeds outside the scope of state-sanctioned battle. Like Kerr’s work, Janes’ fiction benefited from critical approval. The Wall Street Journal called the St-Cyr/Kohler series “engrossing.” Publishers Weekly said it “convincingly documents the wartime background of Nazi-occupied France.” The New York Times’ Marilyn Stasio applauded Kaleidoscope (1993) for being “thick with dramatic incident, and the stark scenes of a country trying to survive a hard winter under siege have a palpable horror.” And in 2002, Janes’ 12th book in the series, Flykiller, received a nomination for the Dashiell Hammett Award, a prize given out annually by the North American Branch of the International Association of Crime Writers. But then, just as Kerr’s Bernie Gunther had vanished in 1991 (only to reappear 15 years later in The One from the Other), so St-Cyr and Kohler abruptly dropped off the publishing stage in 2002. I feared Janes had finally given up writing. In December 2011, I signed two contracts with The Mysterious Press in New York. They will publish the complete St-Cyr and Kohler series, all 12 of them, in e-book form and print-on-demand ... They will also publish a new mystery, the 13th in the series, Bellringer, so please watch for these. I posted a mention of that deal in The Rap Sheet, and soon afterward received an e-note from the author himself, thanking me. In reply, I told Janes how pleased I was to learn that his two savvy wartime sleuths would be staging a comeback. I also suggested that I interview him about Bellringer and his future plans for the series. Since then, I have had the opportunity to ask the novelist a great deal more about his background. He was born Joseph Robert Janes in Toronto, Ontario, Canada, on May 23, 1935, and grew up with his two brothers on Keewatin Avenue, the home of “middle- to lower-class [residents] and some really very poor folks.” He’s been married for 54 years to the former Gracia Lind, part of whose family, he says, “goes way back in Newfoundland history.” Together they have four children--two girls, two boys--and six grandchildren, scattered as far west as Saskatchewan. Janes and his wife currently live in the southern Ontario town of Niagara-on-the-Lake. I’ve also been lucky enough to read Bellringer, which is set to be officially released by Otto Penzler’s Mysterious Press early next week (both in a print edition and as an e-book). 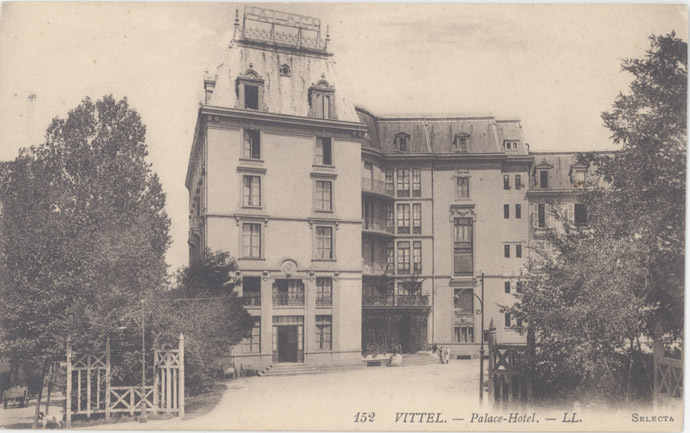 The novel transports readers into the dark, fearful, sometimes paranoid confinement of two former luxury hotels in Vittel, a town in northeastern France. Those resorts have been jointly converted into a bleak internment camp, now housing 1,678 British women who didn’t escape the country before Adolf Hitler’s military occupied it in 1940, as well as 991 American women “who failed to leave when the Führer thought to declare war on America on 11 December, 1941.” (In addition, there are some Senegalese men being held at the camp, who will become a focus of suspicion as this story marches along.) As Bellringer commences, St-Cyr and Kohler have been summoned by the camp’s kommandant to probe the death of an American woman, found stabbed through the heart with a U.S. Army pitchfork, her pockets filled with hard-to-find goodies that might have been used to bribe guards. This leads to a broader investigation involving the alleged elevator-shaft suicide of another woman, the filching of goods from among inmates’ meager possessions, missing capsules of a potentially dangerous herb, a suspicious monk, broken and duplicitous love affairs, séances, spies, and the 23-year-old mystery surrounding a husband’s passing. Out in the foyer, some carried handbags that had never left them since they’d been taken into custody in December 1940; others had sewn purses and tied these around their waists as in the Middle Ages. Most wore the signs of underfeeding, the lack of minerals and vitamins, the skin dried and cracked, the joints sore. All were cold and often yawning or coughing up their lungs, and halitosis, with or without their fags, depending entirely on fortune. One eventually becomes consumed by this story, so captivated by the sadness and scheming of its players, it’s easy to forget that the action here takes place over just a couple of days, rather than a week or more. The author’s style of presenting and examining evidence in the course of dialogue, rather than through simpler narration, might test the patience of some readers, but the results are certainly rewarding. Bellringer is a banquet of plots and counterplots, deceptions and unexpected motivations. If you’re looking for a quick snack of a tale, look elsewhere. (Left) My introduction to Janes’ historical thrillers: 1994’s Salamander. Not long after turning the last page on Bellringer, I sent the now 77-year-old author a series of questions about his personal and professional history, which he was kind enough to answer. Some of those responses were included in my latest column for Kirkus Reviews, but the greater number are featured below. J. Kingston Pierce: Could you tell us something about your parents? J. Robert Janes: To describe in a nutshell my parents, is to attempt the impossible. Both were exceedingly complex. My father, a former reporter for The Northern Miner and the Toronto Star, was Canada’s first public relations man. His Public Relations Services Ltd., at 33 Scott Street behind the King Edward Hotel, commanded a great deal of his time. He also employed one of his brothers, my uncle George, and kept my grandparents and Geordie in the upper half of a duplex across the street from our house that he rented for them. What that did, of course, was bring me close to my grandmother, who was a lovely, lovely person, and many’s the time I, alone, would slip over there to have afternoon tea with her. My grandfather loved my mother’s bread and would sit on our front steps and eat the better part of a loaf, straight from the oven. Mother was a very fine artist who knew all of Canada’s Group of Seven and many other artists. [She was] a remarkable cook. Friends often came to supper, [with] my brothers and I helping in the kitchen and always being seated around the dining room table too, and I’d give a fortune if I could re-create just one of those dinner parties. Good artists, and I mean really, really good ones, don’t just argue--they fight for what they believe in. Hence the talk would ebb and flow and sometimes erupt like a rocket, sending one or more off in a huff or tears with weeks of silence to follow; yet all would be forgiven and peace restored. Of course, there was gossip and lots of laughter. Some of them were painters, or worked in chalks, others were sculptresses or weavers, one was a potter of note, and we lived in the midst of it all, for Mother used that dining room as her studio--except for when she had one in the old Summerhill cottage where A.Y. Jackson had his studio. I still have a watercolor sketch of myself at age 3 that Arthur Lismer did at mother’s urging (unsigned unfortunately!). Among my earliest memories is one of being bundled up at the age of 2 or 3 and shoved out the side door to play by myself in the back garden. Mother was busy “painting.” The snow was granular and I knelt at what would’ve been the edge of one of our flowerbeds under the big apple tree, and I used my imagination. That snow became mountains in which were hidden heaps of silver and gold, and I found within myself both the friend we all need and the driving force of my later writing. JKP: Was your family a bookish one? (Right) Janes’ mother used books such as this one to interest him in mysteries. I knew how to read at a very early age and loved the books of Thornton W. Burgess and others. By the age of 4 or 5, I was writing and illustrating my own animal adventures and would sit patiently at my little desk in front of one of the windows in the bedroom I shared with my older brother, myself totally absorbed in the story I was setting down. Later, by age 6 or 7, I would head out at 5:00 a.m. and go for a walk in the park, for our yard backed onto Sherwood Park. Fields, hills, forest, ravine, and river were all there and the dawn coming up. It’s by far the best of times to see birds and foxes and other things, and never was there ever any concern about my safety. Never. My imagination just took off and was constantly strengthened. JKP: I’ve read that you were originally a petroleum engineer and field geologist. Where did you earn your academic degrees? JRJ: I have a B.A.Sc in Mining Engineering from the University of Toronto, 1958; an Ontario College of Education high-school teacher’s certificate; an M.Eng. in Geology, U of T, 1967; and the first year of a doctorate in Pleistocene Geology on a Queen’s University, Brock University program that was set up uniquely for myself. My undergraduate thesis won an award from the Petroleum and Natural Gas Division of the Canadian Institute of Mining and Metallurgy. In my third summer at U of T, I worked for Mobil Oil in Alberta, and went back there when I graduated. Hence the petroleum engineer, but prior to this I had worked as a geologist and also had taken a year out to work at the Ontario Research Foundation as a lab technician for Lyman Chapman, who mapped Ontario’s Pleistocene deposits among other things and was a remarkable scientist. Basically, I was easy in the field as a geologist on my own or working, as with Mobil Oil and the Research Foundation. I “dug” what I was doing. JKP: When did you start teaching high-school geology, geography, and mathematics? And where did you teach? JRJ: Gracia was very unhappy in the west, in Alberta, so we and our [oldest daughter] Anne packed it in and came back to Toronto, me to the Ontario Research Foundation as a research engineer, minerals beneficiation. I guess I’ve worked on practically every will-o’-the-wisp ore prospect possible, and when I finally left, my boss, as had the one at Mobil Oil, begged me to stay. But I thought I’d try high-school teaching, and when I took the summer course, who should be there but a few of my classmates in geology and mining. From 1964 to 1966 I taught for the North York Board of Education, at William Lyon Mackenzie High School, grade 11 geology and geography, grade 12 and 9 math. I loved teaching and the kids and can honestly say it’s the toughest, hardest job ever. I never sat down, was always on the move, for the way to teach and keep kids interested is to keep them guessing, and you do this by constantly bringing in new ways of doing things and by always moving about the room amongst them. JKP: And at what point did you begin teaching geology at Ontario’s Brock University, and for how long did you engage in that? JRJ: When I went back to U of T to do my master’s degree under Dr. Tuzo Wilson of Plate Tectonics fame, I taught one summer at Brock University (1966-1967) and then came back for full-time. My students were adults bettering their degrees or getting them, and also technical people from industry. I taught first-year Physical Geology, third-year Glacial and Pleistocene Geology, and fourth-year Geology of Canada. In 1969 I developed and conducted the first and only cross-country university course in the Geology of Canada, taking a group from St. Catharines, Ontario, west to Long Beach on Vancouver Island. Two of the students and myself brought along our families, so that at the end of each day in the field, there would be baseball, a swim, or a campfire gathering. It was a unique way of teaching and an adventure for all of us, but also one tough, tough job, since I had to plan out everything ahead and be ready with all the details at each outcrop of note, right the way up through the geological time scale. JKP: When did you realize that you wanted to be a writer? JRJ: Consciously, I never planned to become a full-time writer. 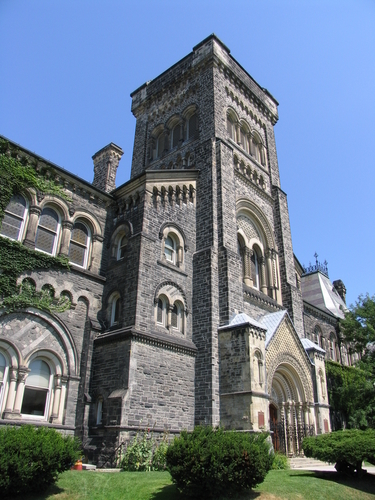 When I did my undergraduate thesis there weren’t any courses in petroleum geology and related areas at U of T, and I would go up to the Imperial Oil Library on St. Clair Avenue in Toronto. There I had everything I needed and spent many, many hours digging for material, selecting what I’d need, and all the rest of what one calls “research” for a thesis on the treatment of water for use in the secondary recovery of oil--for fracked formations. It has to be far, far purer than even our tap water, so there’s a definite science to it. The librarians could not have been kinder. In contrast, the head of the Mining Department bordered on rage at my selecting a non-mining topic and something they patently knew absolutely nothing about. As a result, he gave me a miserable C, which should have taught me something, I guess, but maybe I became a writer because of what I went through at that library. I just really, really liked what I was doing and still remember it fondly. In any case, a writer is like my garden, or like any novel, for that matter: she/he is a work in progress. If she/he isn’t, then they’d better get with it. JKP: On your Web site, you say that you “turned to full-time writing in June 1970.” How worried were you about succeeding as a writer? JRJ: My turning to full-time writing in 1970 was, in retrospect, a huge leap of faith and of course it’s the reason I have such a small “pension.” I’d written a few travel articles and other things, and the travel editor of [Manitoba’s] Winnipeg Free Press had been immensely kind. I also had a contract for some film strips and a couple of textbooks, so I simply closed the door on the paychecks and began to “work” for myself. My father, bless him, must have been alarmed but he never said anything, nor did my mother. They knew, I think, that I was “different.” Gracia and I had four young children and when we moved from Toronto to St. Catharines (to work at Brock University) we bought an old farmhouse, half an acre and one heck of an old barn. My “work” room was tiny and located downstairs next to the living room and the kids when they came home from school. Did I have financial worries? Yes! Did I ever worry about succeeding? Not really. After all, I did have contracts to start off with. But what one doesn’t do, and should, is to worry about the publishers not doing as they have agreed, and their going bankrupt at the worst of times--just when a new book has come out! I grew up in the Great Depression, and Mother sure taught us a lot. At that old farmhouse, Gracia and I had a 22-cubic-foot freezer, and I grew a lot of our own food and packed that freezer every fall. I always felt I had saved at least $1,800, maybe $2,000 a year on that alone. I also canned peaches, plums, pears, you name it, and had 100 feet of red currants, so jams and jellies, wine even, were a part of it all. JKP: And you started out writing non-fiction? JRJ: Basically, I began by writing textbooks, film strips, slide sets, and such in geology because they were desperately needed at the time and there was nothing available in the schools. I also took virtually all the photos that were used to illustrate my textbooks. Rocks, Minerals and Fossils, for grades 7 and 8, was a hands-on text which gave the kids the nitty-gritty but did so in a unique and very rich way by using photos and experiments I designed and conducted first before writing them down. Earth Science, for grades 9 and 10, continued the study, again in the same hands-on way with further experiments and such. Geology and the New Global Tectonics was a senior-level text for grades 12 and 13, but was also used in first-year university courses. JKP: So what first made you interested in writing fiction? JRJ: When that last text came out, I got a call from Canada’s finest airphoto expert, Dr. Jack Mollard, P.Eng., of Regina. Jack wanted me to help him with Airphoto Interpretation and the Canadian Landscape and I did, and we became good friends. I’d also written and done the photographs for The Great Canadian Outback, a [book about the] geology and scenery of Canada. But when I was done co-authoring the airphoto book, I decided that I would not write any more non-fiction. I began a novel, and realized six months later, that I had lost a lot of time and would have to catch up, so have stuck to fiction ever since. But I still have one non-fiction book I want to do, and that is on past climate, the Ice Ages, and current climatic change. There is so much the general public simply don’t have a handle on and should, and I’m someone who could write such a complex thing but make it easily readable for the average person. Few others have written texts and such for each level and also taught at least several of those levels, and I still love the study of the Pleistocene Epoch for it offers so many answers to why we’re here and how we came to be the way we are. That book, however, is at least a two- or three-year project. JKP: As I understand it, your first novels were mysteries for children. 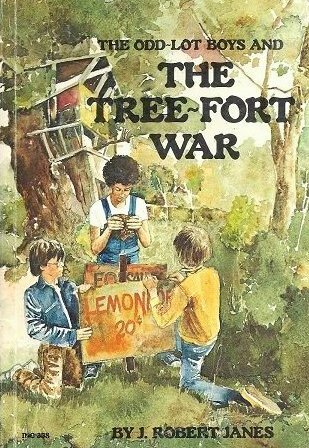 I believe The Odd-Lot Boys and the Tree-Fort War came out in 1976 and was followed by four more such stories for the younger set. Why did you start out penning children’s fiction? JRJ: I started writing for the preteen-to-13 age group. Having children of my own, it seemed natural, but there were other influences, primarily the need to protect the unique farmlands of the Niagara Peninsula, something Gracia has worked at ever since. The Odd-Lot Boys and the Tree-Fort War came about by my seeing the need for wild places in the standard subdivision, places where kids could be themselves and do the things they need to, like building and having a tree fort. I’d seen a real-estate sign on a vacant lot and beyond it the remains of a tree fort. The title came to me, and I wrote it. JKP: What did you find most gratifying about composing those children’s mysteries? And did they have a common thread? JRJ: Theft of Gold , my second for kids, came about via two things. First, Toronto’s subway and the boots and shoes people wore. How distinctive they all were. Then, too, when I’d been an undergraduate at U of T there had been a robbery--samples of gold ore [had gone missing]: dust, flakes, and nuggets from the Klondike and Cariboo, among other samples. Me, I knew all about such things and was certain I knew who had done it--ease of access, etc. So I had that background and wrote it. These were followed by Danger on the River , which preceded the environmental stories long before they came into vogue, but dealt with such a topic. I had walked the riverbank I used [as a setting], my kids had played there, and we’d all seen what was happening, so I wrote it with that message in the hope that readers would do the same as my protagonists, Rolly and the gang, did. Spies for Dinner  followed. We had had a cottage on Gloucester Pool and the Severn River, and I knew that area like the back of my hand. Murder in the Market  is largely set in Toronto’s St. Lawrence Market, which I loved as a kid and still visit every time I go to the city. Those [last] three books were a series, so Rolly, Jim, Katie, and Alice carry on through them. But after [publisher] Clarke Irwin went bankrupt, and Collins of Canada ceased publishing children’s books, I set the series aside. Which doesn’t mean I’ve stopped writing for kids and young adults. Good heavens, no. I still do. 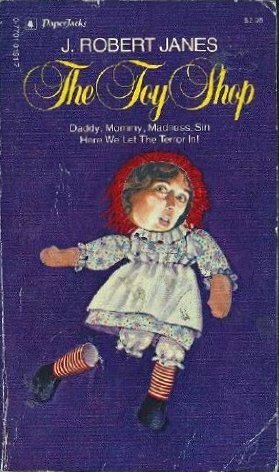 JKP: Your first adult novel, I believe, was The Toy Shop, published in 1981. It’s been identified as the earliest of four “Richard Hagen novels.” I have to confess, I’ve never read any of those so-called Hagen books. Could you tell us something about them? JRJ: The Toy Shop. Picture this: no money, Christmastime, four kids, and a contest--the Seal Book $50,000 prize. Late in November, Gracia and I went to Niagara-on-the-Lake to try and find something for the kids, and when we got to the Toy Shop (it no longer exists as such) it was dusk and the streetlights had come on. I told her to let me go on ahead, and as I did so, that story came at me like a ton of bricks. In 35 days and nights, including five hours on that Christmas Day, I wrote that psychological thriller. It didn’t win the prize, but I was one of only three who were called in by the editor. Stupidly, I used the call-in to get my first agent, and the editor who had called me in, promptly tossed me out. 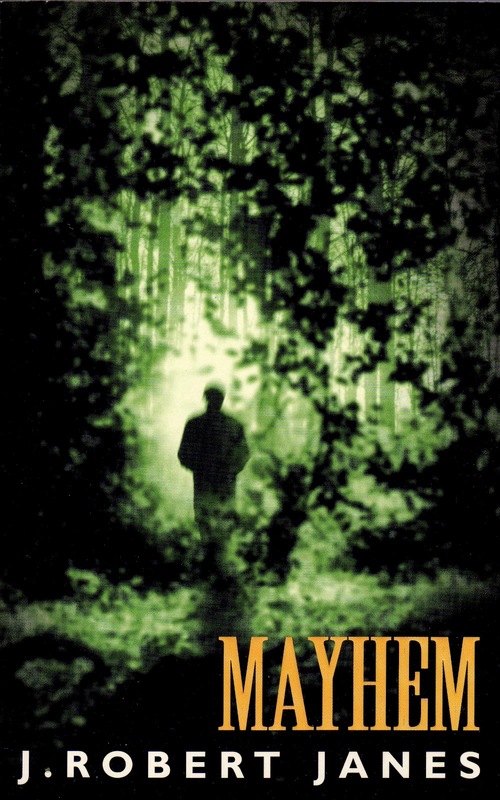 JKP: In 1992, your first St.-Cyr and Kohler novel, Mayhem, appeared. Please tell us about your inspiration for that book. Had you been thinking for a long while about writing Mayhem? And did you see it as the opening installment of a series? I grew up hating the Germans, and when I came to write Mayhem, the first in that series, I honestly didn’t know how I could possibly do it. But Hermann, bless him, ran away with the story right away and I’ve had to cut him back ever since. As a result, it was a huge lesson for me, and I no longer hate Germans. Indeed, why would I? I didn’t envisage a series at first, but when I’d finished Mayhem I knew, as a writer will, that I really had something, and immediately started in on Carousel . By the time Constable took them on, I’d written those two. Kaleidoscope  then went straight from myself to the typesetter. JKP: Were you already quite familiar with France at the time? Have you visited there many times over the years, as you’ve put these novels together? JRJ: I knew I had to drive myself to get that series established, and fortunately in Miles Huddleston at Constable I had the perfect editor. I’d send Miles a manuscript and would get back a note perhaps saying, “Bob, what do you think about ...” Usually it was length [that was the problem], and I’d go at it and in about three weeks he’d have it back and I’d be working on the next one. I never bothered to send any of those later books to my agent. Miles and I simply handled everything, but I did leave the agent to take care of the contracts. I was, since The Alice Factor, and have become extremely more familiar with German-occupied France, but must state that many of the places I write about no longer exist. Whole areas have been flattened and built over. Even some of the street names have changed! I’ve always viewed this series as like the trajectory of an artillery shell. Both Kohler and Jean-Louis were in World War I, and enemies, so the analogy is apt. What I’ve done so far, and it has probably taken more titles than it should, is to do the crest of that trajectory which sits around the time of the [Nazi] defeat at Stalingrad on February 3, 1943. What I intend to do now, is to write the flank-stories on either side, ending up, of course, with my two honest cops--for they are honest--up against the post: St-Cyr for working with the enemy (against common crime in an age of officially sanctioned crime on a horrendous scale) and Kohler for being of that enemy (having, with Louis, crossed so many criminals). JKP: It’s interesting that you imagined St-Cyr and Kohler as both good men, in their respective ways. Some readers have objected to that characterization, have they not? JRJ: Aside from having a German overseer, one has to keep in mind that if you were a detective in Germany in 1933-1934, you were automatically in the Gestapo. Hence Kohler is one of those, and we have the situation of a good Frenchman having to work with--you guessed it--a good Gestapo. Some have been upset with me over this. One young woman used to nail me at every Bouchercon she attended, and she certainly wouldn’t listen, but had never read any of the books to find out what the heck I was really up to. This also applies to French people who think I must be pointing out the worst, but again haven’t read any of the books. As for Kohler and for St-Cyr, no one need be offended by either, and as for the Holocaust and all ... why, I’ve written hugely about it, so they surely should be able to see what side I’m on and Kohler too, and Jean-Louis as well. JKP: Between them, St-Cyr and Kohler have pissed off so many German authorities, I’m surprised they’re allowed to continue their investigations. How do they avoid being chastised and pulled from the field for insubordination? Are they simply too good at their jobs? JRJ: They are on the run always ... It’s a part of their uniqueness and I wouldn’t want to give it up for anything. It brings them closer and closer, welding them into a single unit that cares not only about the outcome, but increasingly about each other. Remember, too, that they are outcasts, lonely in their fight against common crime. Sometimes, as in Bellringer, the answers to their very survival come from others, but this in itself comes in part from the very way the two men have treated those others. JKP: Which of your sleuths do you think is changing more as a result of their working relationship, St-Cyr or Kohler? JRJ: These are two very different men who have been thrown together by time and circumstance. As a result, both derive things from the other. Kohler tends to be a womanizer and to use his Gestapo clout when needed but, please, this last is far, far different from the accepted usual. Jean-Louis sees the background better--he’s French--but encourages the “clout” when needed and uses Sûreté muscle if required. But primarily what the two do is to allow me to switch action from one to the other to build pace and story, bringing them together every now and then to go over things and illustrate their different ways of drawing conclusions. Both are, however, very “with it,” in a crime sense, with lots of past experience that comes up every now and then. But Kohler has one failing St-Cyr worries about: Because of what he’s been through, Hermann can’t stand the sight of corpses any more. The younger the victim, the worse his reaction, so Jean-Louis has to protect him and hide that fact from the Gestapo, the SS, the Wehrmacht higher ups, and the Gestapistes français--even the big shots of the black market. It’s a constant worry. And, please, there’s lots and lots of humor in their association. There has to be. JKP: After Flykiller saw print in 2002, you lost your publisher and seemed to disappear. I understand that your agent had also been sick for a long time, so probably wasn’t working as ably as you would’ve hoped. What’s finally made it possible for you to return to the St-Cyr/Kohler series with Bellringer? JRJ: Yes, after a good 22 years with that one agency, I found myself on my own again. But remember, please, that this was the way I started out and that I’d done a lot of books without ever having an agent. What did I do? I grabbed the phone early last December and called The Mysterious Press. They knew of my books and we agreed on doing e-books of the first 12 St-Cyr and Kohlers, and a print-on-demand and e-book of the new one, the 13th, Bellringer. As a result--and let me just set this down here--Gracia and I had a lovely Christmas. My two guys were back in business! JKP: Bellringer takes place during the winter of 1943, in a couple of French hotels that now serve as an internment camp for women. What sorts of research did you have to do to compose this book? JRJ: Gradually I have come to a process with each new mystery in the series. I begin with about three or four months of “digging,” and in Bellringer’s case, some of it was not very nice at all. When I came to the writing, I decided, since I’d covered enough of such things in the previous two manuscripts, I would set those things aside and concentrate primarily on the two hotels and their internees, and am glad I did. There were others in the camp, and other hotels nearby, and these are touched on a little and form a part of the novel, but the focus is on those two groups of women. I also, having been at Madison, Wisconsin’s Bouchercon [in 2006], did some of the “research” there, which I enjoyed immensely, and was able to use with one of the characters, but it also gave me lines of thought on the others. In addition, as a geologist, I’d been to the granite quarries at Barre, Vermont, and could use those as background [for another of my characters]. JKP: What do you think would’ve been the hardest thing about being one of those women, trapped in an internment camp in France? JRJ: The injustice, the suspension of normally useful lives, loss of loved ones, loneliness even in such a crowd, the never knowing how long it would last or what, really, was happening elsewhere, ... the utter boredom, lack of food, heat, warmth, privacy--all a huge amount of what we normally take for granted. Dealing with the Occupation, as I do, it continually amazes me how much we have and how little attention we pay to those everyday things until they’re taken from us. One of two hotels where the action takes place in Bellringer. JKP: By the way, were there similar facilities for men at the time? JRJ: There were internment camps for British nationals, separate ones for lots of others, but these were not close to Vittel. As to their exact locations, I have those, of course, but they are buried in the heaps and heaps of reference notes that face me every day and also surround me ... so please don’t ask me to start digging! 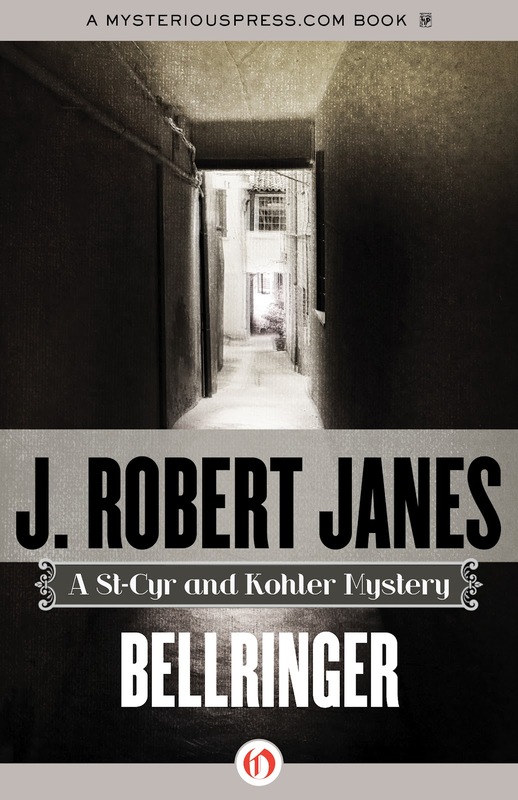 JKP: Part of Bellringer’s plot has to do with mediums or fortune tellers, people who say they can contact one’s dead relatives or discern the future from shaking baskets of trinkets. What’s your own experience with such spiritualism and fortune telling, if any? JRJ: When folks die, I say they have stepped off the planet. When someone close does, I go out into my garden and touch the living for them. Regarding mediums and such, I have only the experience of what is in Bellringer. Granted, I had to learn it all and tried my best to do so. But it was fun and I loved working with it, and it was as natural to the story and the times as was everything else. JKP: You were born in 1935, so were still pretty young during World War II. What do you remember of it? And did something happen back then that made you want to return to the era in fiction? JRJ: I was 4 years old when World War II started, but our street became totally involved in it and not just in scrap metal and newspaper drives. The two boys across the street were in the army, one up the street in the navy, others in the air force. Leonard Allman--with whom I sat on his back porch while he, on leave, had a beer his mother didn’t know of, and I had a Coke--died when his Lancaster bomber was shot down over Germany. I still recall how he made me swear never to tell his mom about that beer. I also grew up with the Belgian refugee to whom The Alice Factor was dedicated. Willi Wunsch and his sister, Arlette, lay on the backseat floor of their old car and were machine-gunned as their father drove it onto the ship [bound for North America]. Willi couldn’t speak any English, and myself little French, but we became fast friends until the war ended and they went back to Belgium. We did meet later on when he came back for a visit, but by then I had four children and he was employed with the U.N., I think, so our lives had become vastly different. I’d love to see him again, though, and still have the pastel portrait my mother drew of him. 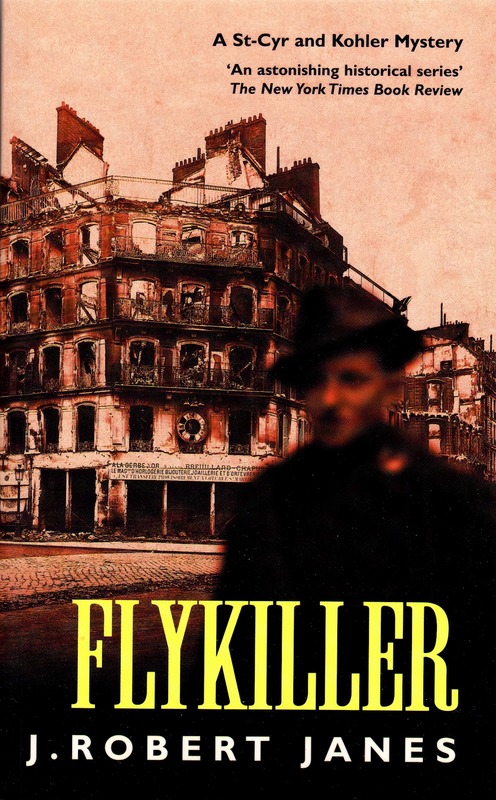 JKP: During the decade-long hiatus between the release of Flykiller and the appearance now of Bellringer, you wrote two additional, still-unpublished St-Cyr/Kohler books, Carnival and Tapestry. But didn’t you also work on other projects? JRJ: It was after those [two World War II thrillers] that I went back to my historical fiction for young adults and worked on a novel that is set in 1611 and deals with the man who was perhaps the greatest pirate of all time. It’s set in England, on the North Atlantic, in the New-Found-Land, and the Azores, and I would like, as always, to get right back to it. I also wrote a historical mystery for young people, which I call The House By the Water. It has wonderful character studies and I love it--I have to. Then, too, I wrote another mystery for children, one that can be read to the very young, while those a little older can cut their teeth on it. This one I call Borgford, the Housemouse Detective and the Case of the Missing Things. Borgford’s a Norwegian who jumped his ship when it passed through [Ontario’s] Welland Canal. I worked on some other things too, and am still at them. Lots. Hey, that’s what I do, isn’t it? JKP: Most of your World War II novels are now out of print. Mysterious Press (via Open Road Media) is bringing them all back as e-books, but are there plans to reissue them as printed works as well? JRJ: At present, I don’t think so, but I would certainly wish it. JKP: Do you have a favorite book in the St-Cyr/Kohler series? JRJ: I can’t have favorites beyond the one I’m writing, but if I were to be judged, Tapestry would rank highly, as would Beekeeper  and Stonekiller , and certainly I still maintain that Flykiller is a major work. It took a huge amount of time, nearly two years. There was just a colossal amount to deal with. [The French town of] Vichy, at the time of the Occupation, was never easy, and I could go back there and write another [book] and another, and still not cover everything. JKP: Finally, how would you most like be remembered? JRJ: My archive is at the Mills Memorial Library of McMaster University [in Hamilton, Ontario], who have done an outstanding job of looking after things. But as for myself, let me state the following: Simply that my books will speak for me. Basically, I’m unassuming, quite quiet, love my garden, my daily routine, my walks up the river, my coffee, my making notes for the day’s section to come, all such things. I’m not a cymbal-banger. Rather, rightly or wrongly, I tend to leave it up to the books and wish all others nothing but the very best. Waterhouse-Hayward; “France on Berlin Time,” by J. Robert Janes (Mystery Readers Journal). What an interesting character. Thanks for the "interview" really enjoyed it. 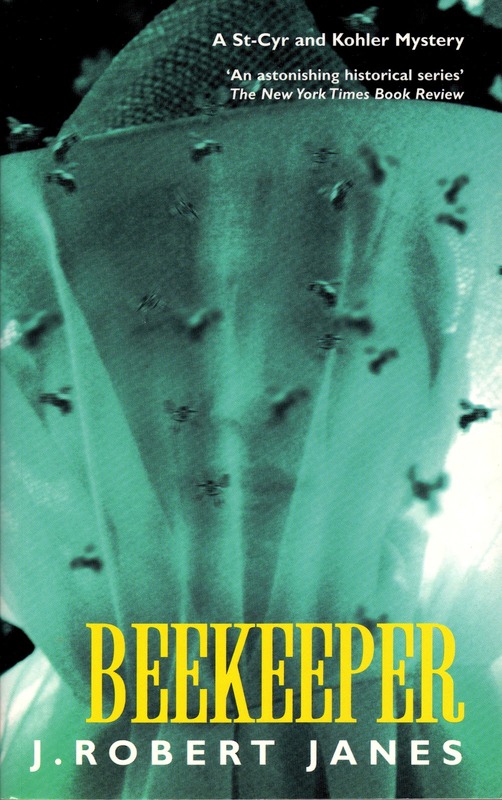 Just checked & Beekeeper is in our local library so just going to reserve it. Hello, this is take two of my blog entry. Thank you for writing such a great interview with my Dad! Son Peter here and I enjoyed every word. Some historical facts I never knew. 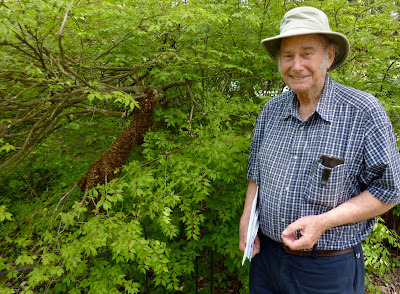 A very nice write up and detail of his literary mystery trail as mystery man extraordinaire. That was a beautiful photo! He is a big fan of bees and tends an amazing garden. That's my dad, a hard working gardener keenly interested in life's mysteries. Fiction and otherwise. Cheers, son Pete.